Strolling through his hometown of Yorkshire, artist James Brunt finds artistic inspiration through almost any natural materials he can get his hands on. Whether walking along the beach or taking a forest stroll, Brunt creates intricate mandala-inspired designs out of fallen leaves, twigs or sea rocks. The determined artist will spend entire days on his land art, only to see it disappear under the rising tide waters or blown away in the wind. 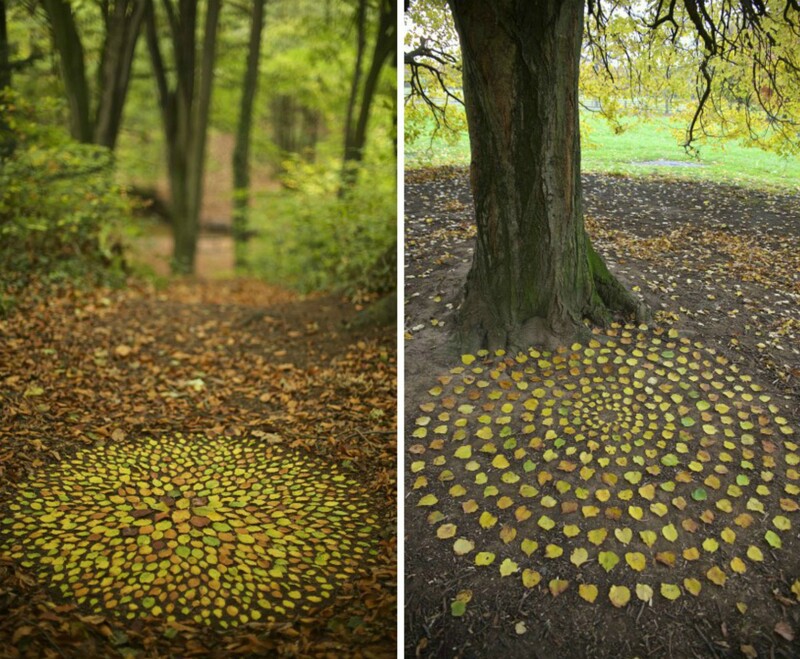 Brunt lets nature feed his inspiration, often wandering through dense woodlands to find the perfect place to create intricate pieces of land art. Located in Yorkshire, England, he explores nearby forests, parks, and beaches to find just the right spot and materials. When the inspiration hits him, he uses natural materials like twigs, fallen leaves, and rocks to create beautifully intricate mandala-like spirals and concentric circles. The artist is very considerate of the environment and takes none of the materials outside of their natural habitat. He’s also very careful not to trample natural flora or landscape. 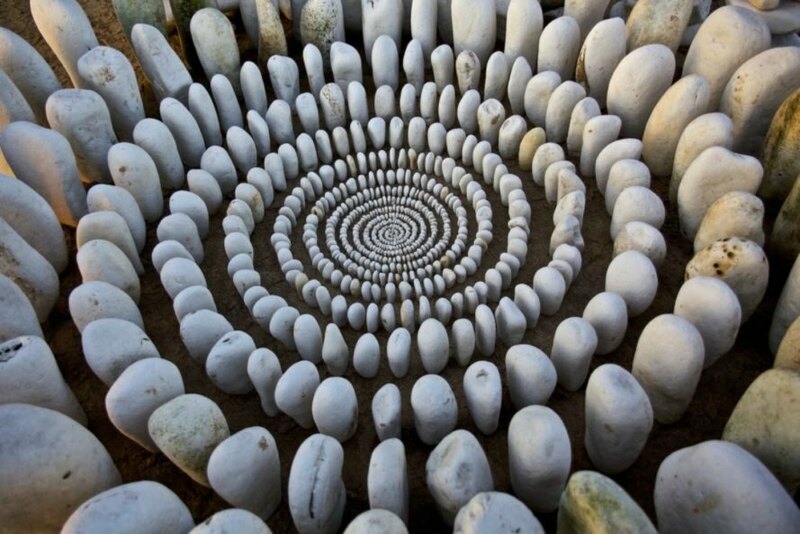 In fact, most of his land art only last a few hours, often being washed or blown away by the surrounding forces like tides or winds. You can find Brunt’s beautiful artwork on his Twitter and Facebook, where he sometimes invites people to join him in his artistic ventures. He also sells prints of his photographed artworks on his website. Strolling through his hometown of Yorkshire, England, British artist James Brunt finds artistic inspiration through almost any natural materials he can get his hands on. 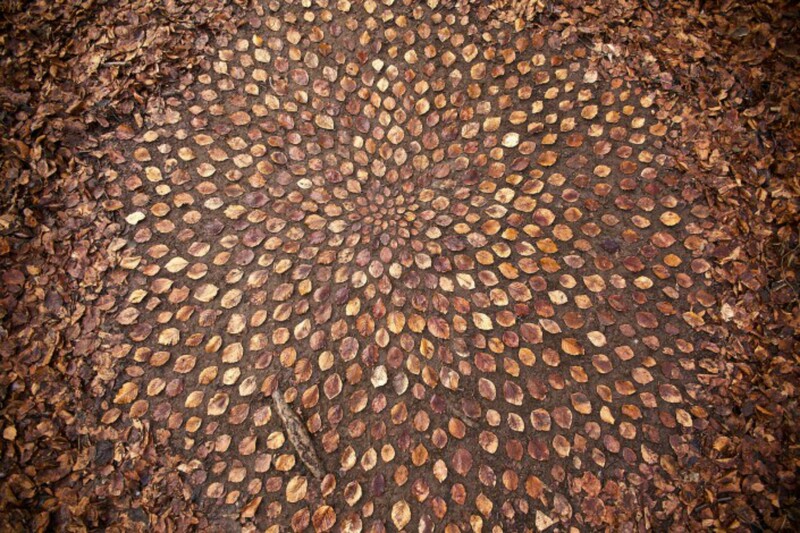 Whether walking along the beach or taking a forest stroll, Brunt creates intricate mandala-inspired designs out of fallen leaves, twigs or sea rocks. The determined artist will spend entire days on his land art, only to see it disappear under the rising tide waters. James Brunt's intricate leaf art. 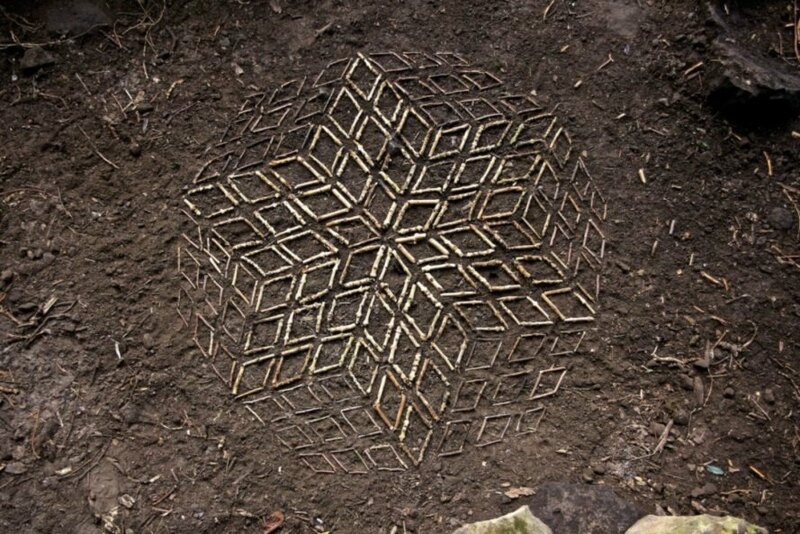 Brunt lets nature feed his inspiration, often wandering through dense woodlands to find the perfect place to create intricate pieces of land art. 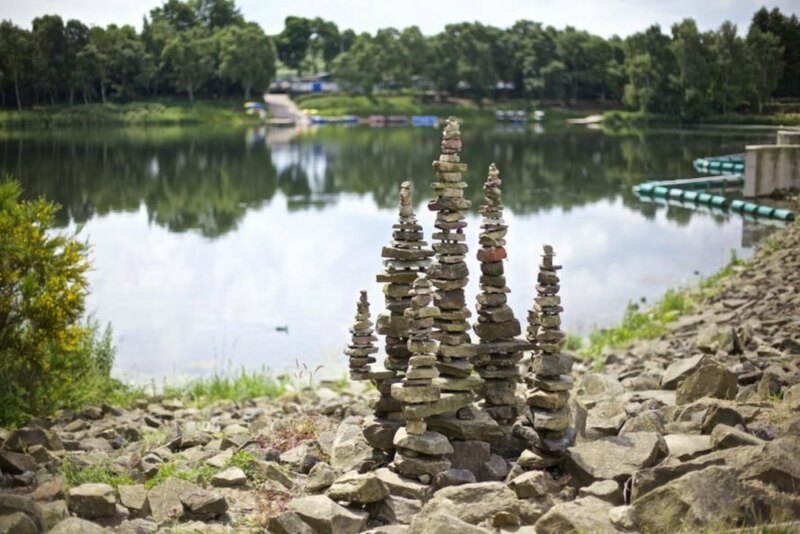 Located in Yorkshire, England, he explores nearby forests, parks, and beaches to find just the right spot and materials. 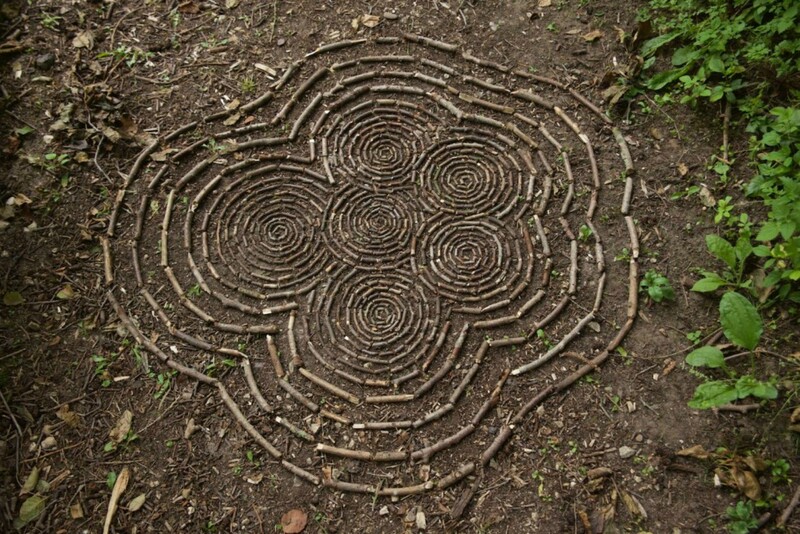 When the inspiration hits him, he uses natural materials like twigs, fallen leaves, and rock to create beautifully intricate mandala-like spirals and concentric circles. The artist is very considerate of the environment, and takes none of the materials outside of their natural habitat. He's also very careful not to trample natural flora or landscape. 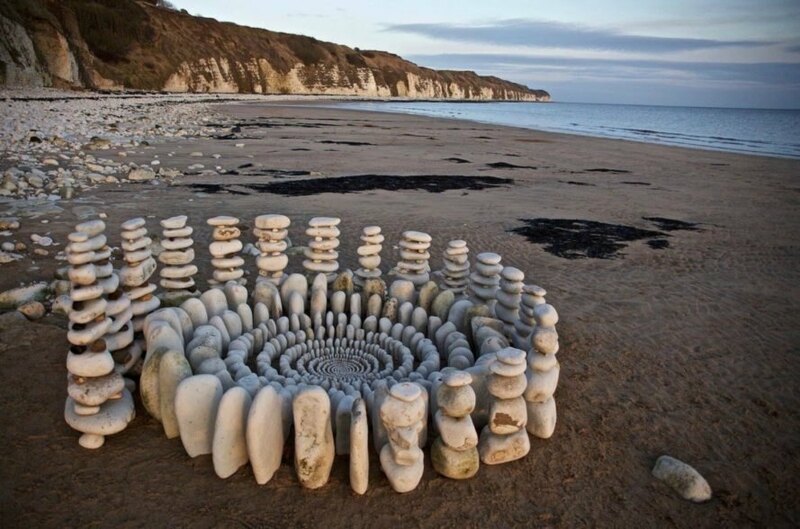 In fact, most of his land art only last a few hours, often being washed or blown away by the surrounding forces like tides or winds. You can find Brunt's beautiful artwork on his Twitter and Facebook, where he sometimes invites people to join him on his artistic ventures.